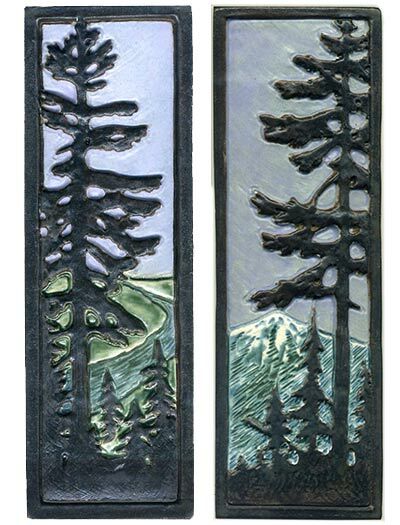 Our 4" x 12" Sentinel Fir set was inspired by views from our studio. One tile shows a peak from the Olympic Mountains. 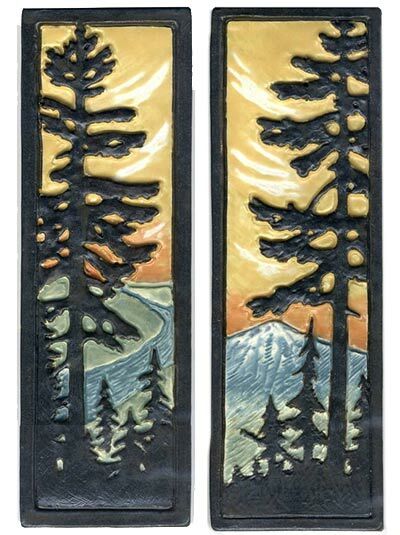 The other tile depicts the Elwha River running free. These tiles may be ordered in any single color or stain or a multi-color option. The tree and border are raised design elements.